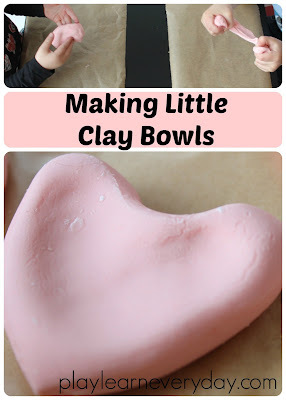 We are big fans of using salt dough to make all sorts of different gifts and keepsakes, but today we decided to give my good friend Emma from Adventures of Adam's recipe for fantastic clay a try when making these cute little bowls! We started by following the recipe for clay on Adventure's of Adam, the only change that we made was that we didn't add all of the glue at once, we saved a little bit back to mix together with a few drops of red food colouring and some silver glitter glue. We then added this to the rest of the mix and kneaded the dough. First I let the kids play with the clay, it's such a fantastic consistency, the corn flour gives it that intriguing changing of state and the glue makes it super stretchy. 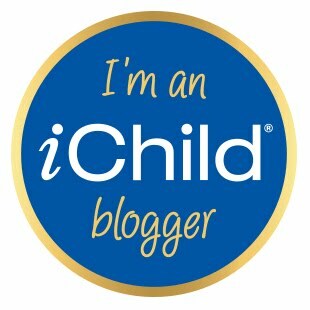 The kids happily gave it a good squeeze for ages and could have happily played with it as it was all day long. We'll definitely be playing with this recipe to form other fun play materials. Then I asked them if they could make little bowl shapes for me, and this is where it got tricky. Unlike other clay or salt dough this clay does not want to keep it's shape if you want it to go up. This clay is still moving and want to go with gravity! So I just had the kids play with the stampers instead, making all sorts of patterns on their circles. We also tried using some cookie cutters to make shapes, this was much more successful and we made a few very thick hearts which we were then able to press down with our fingers to make indents. For the bowls which didn't want to turn up I decided to have gravity do the work for us by turning them upside down. So once the one side had started to dry we placed the bowls on different objects (like the stamper or a small lid) to have the edges go down. Now we've got a selection of very different little bowls that would make lovely gifts for Mother's Day, Valentine's Day or any other occasion to give a loved one. 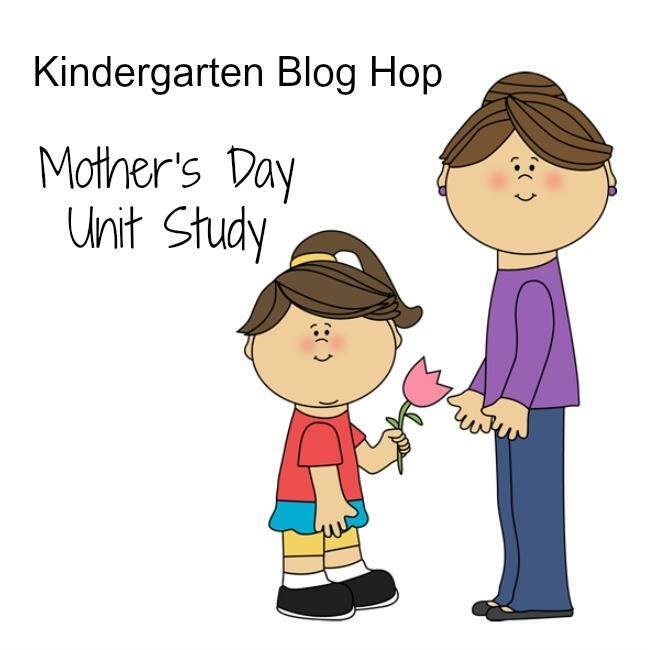 This post is part of the Kindergarten Blog Hop, this month we're all covering different activities that would fill a whole unit on Mother's Day. 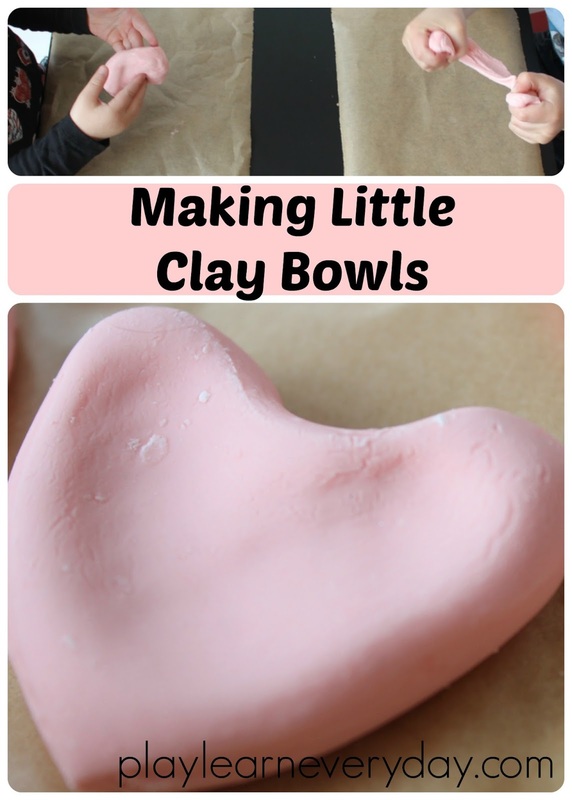 This is our go to clay recipe. It is so smooth and perfect to play and have fun with. These is such a lovely hands on craft. I love the pink heart pot. Very creative! I love the pink colour of the bowls. I'll have to try this recipe as the one school sent home just crumbled! These are so cute! My daughters used to love playing with salt dough when they were younger. Love these - my youngest is so into playing with dough too, I don't know why I haven't made it at home, I must change that! This is such a cute gift idea. 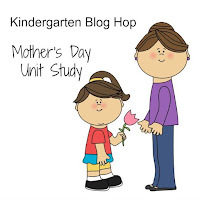 A great craft the kids can enjoy later on. These look really sweet! Something I can do with my young niece too!